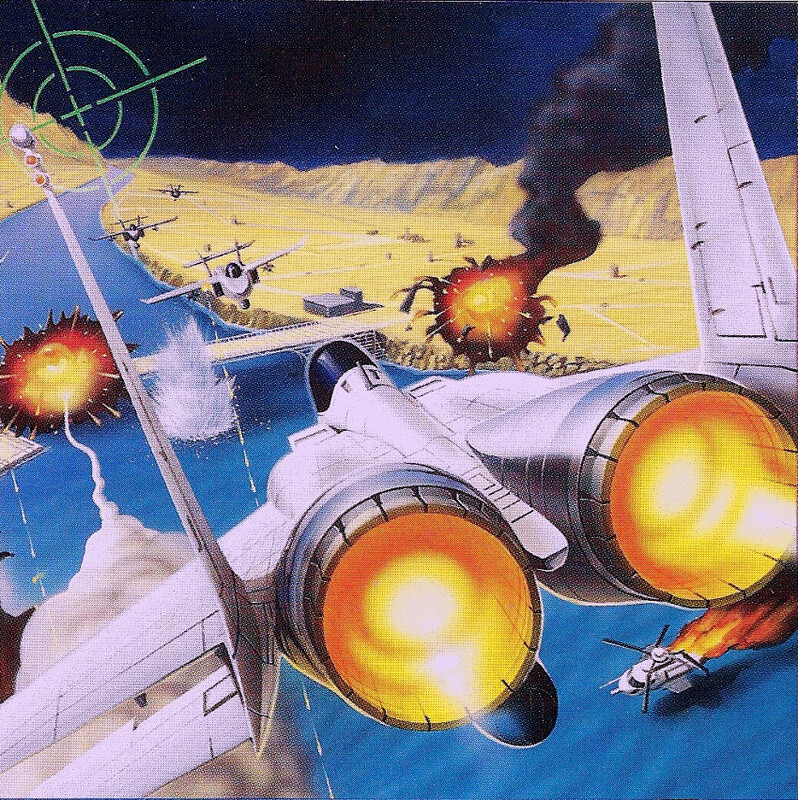 River Raid: Mission of No Return was an unreleased sequel to the original 1982 game and River Raid II (released in 1988), both for the Atari 2600. Thanks to Frank Cifaldi from The Video Game History Foundation for sending me some of these scans. 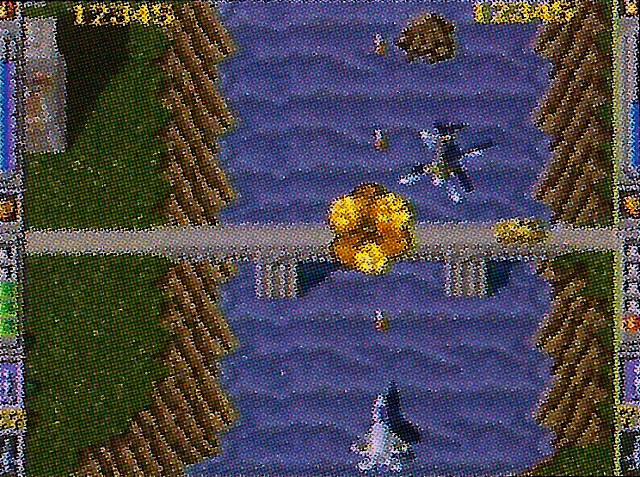 Just a quick email to let you know that I happened to find the prototypes of Kaboom and River Raid 3 for the SNES. Kaboom! is at best... "OK"
Anyway.. "There ya' have it!" They do in-fact exist. 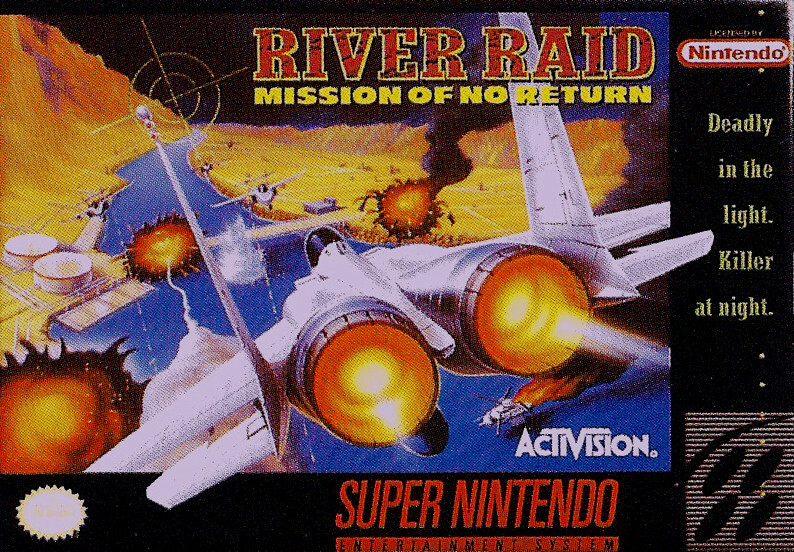 I can tell you, that what I have of River Raid SNES, is mainly a source code dump from August of '93. You'd have to recompile it in order to view it. I had one of my programmers do so just we could figure out what exactly we have on the floppy. 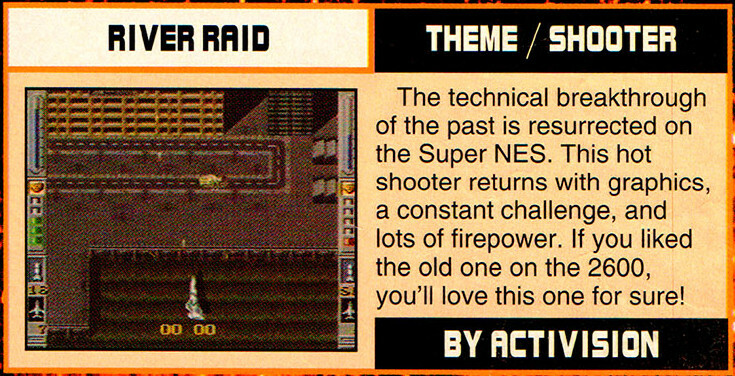 From the above, it is not clear if they had a working version of the game out of that source code. 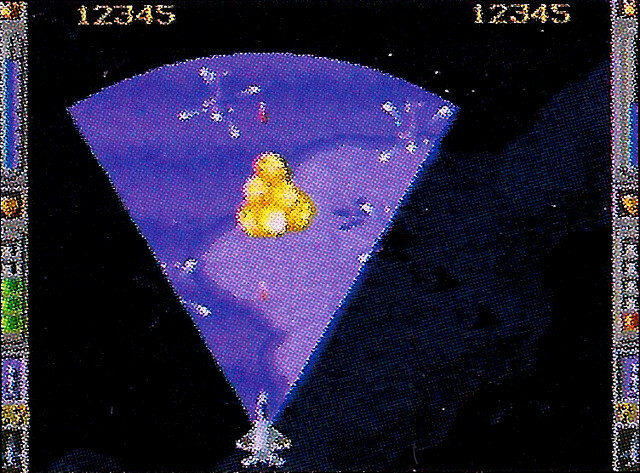 Preview shown in the EGM 1994 Video Game Preview Guide, page 4. Scan courtesy of Retromags. Frank Cifaldi sent me some scans from an advertisement that was given out at this event. It includes a mock up of the final box artwork. From the screens, it looks like it would have been a solid overhead shooting game. Shooting at a bridge on a river, just like the original artwork!